57%* of Indian children involved in crime in 2011, belonged to families with an annual income lower than Rs. 25,000 or $537. Crime and substance abuse put a premature end to their childhood. Sports can be the change agent. Each childhood can be rescued with play time, filled with sporting skills, health benefits and overall personality development.. Multiple studies across the world have shown that children from high- risk families can find both purpose and ambition through regular sports. 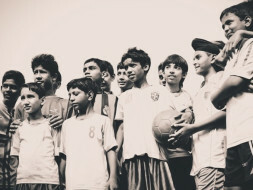 Over the last 6 years, we at TheFootballLink have effectively used football to engage more than 10,000 underprivileged children and youth, in large-scale sporting activities, thus building a sense of pride, team work and camaraderie in them, both on and off the field. Through our scholarship Fund, we aim to support 400 young Footballers and community role models in 2016 with a promising future in sports and provide them training, technology and resources to fuel their dreams and ambitions of becoming professional Footballers in India and abroad. We want to take this a step forward, by enabling these children to experience the magic of sports powered by technology. Children will play with the interactive F-Cube, TheFootballLink’s patent- pending football technology device that tracks a child’s progress on several parameters. 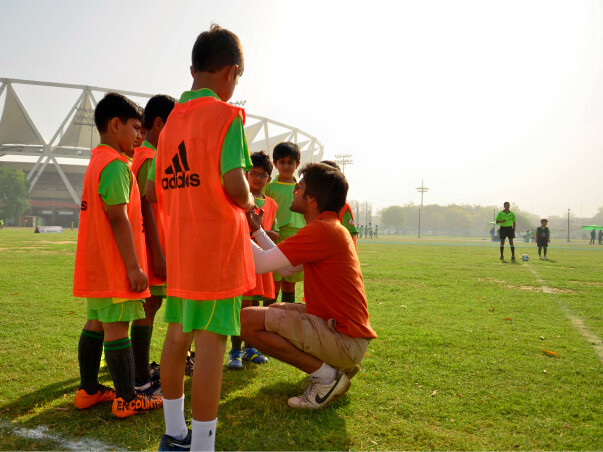 They will also experience gameplay with professional referees on 5 Turf pitches, at the world-class FZone center, Vasant Kunj, New Delhi. Very few people have the courage to do what you do. Best of luck! !